We are not seeking Him as we should be, which is showing up in every manner of our lives, whether that be socially in our homes, schools, jobs, neighborhoods, meeting places and churches. It is as if we are looking for that special “something”, which we are coming up empty handed at every turn – for we have missed the real “Someone” we have need of drawing nigh unto – the Saviour, God’s Son, Our Redeemer – His name is Jesus. As has been done with a few Series by request, these prints are available in two (2) different presentation formats. The first is graphically depicted and the second is more photographic in nature. Each of the sets of prints contain the exact same layout and verse presentation. There are a total of fourteen (14) images presented for this Series and two (2) different formats, which creates twenty-eight (28) actual prints. These are the titles derived from the verses of Scripture used in this Series. Whichever format or presentation be your favorite, make sure to share them with someone today so we each can be challenged to be reminded Revival is a daily recognition of Who our Redeemer is and what He wants us to be found doing. 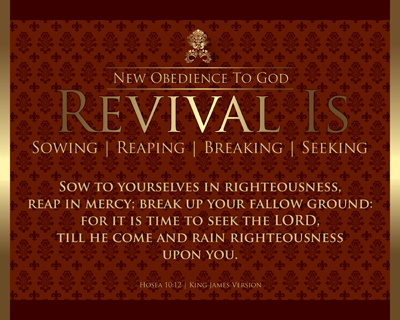 Each day should begin with our New Obedience to God! 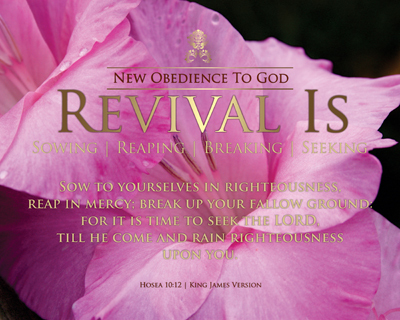 Copyright © 2014 DeliverTheWord.com. All Rights Reserved.